Clinically proven salicylic acid acne treatment to help clear breakouts or pimples. 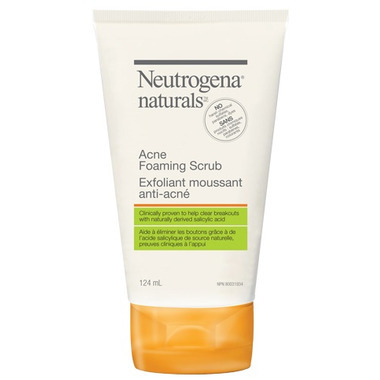 Gently exfoliates skin with naturally derived salicylic acid. Carefully formulated to be 93% naturally derived with the remaining ingredients essential to maintain product freshness and consistency. For treatment of acne. No harsh chemical sulfates, parabens, dyes. Directions: Wet face. Apply product to hands, add water and work into lather. Massage on to face gently. Rinse thoroughly. I notice fast results with this product, and it really deep cleans the skin to help avoid more breakouts. This is a great daily facial scrub to remove makeup and oil buildup at night on combination oily to oily skin. I'm on my second bottle of this and until I find a good organic salicylic acid foaming scrub I will keep purchasing this.